Hi. I'm Christopher Robin Miller - film, television, stage and voice actor. I write, produce and direct too. Christopher Robin Miller is an actor with Film credits that include; 'Chagrin' with Doug E Doug, '3 Days in Vegas' with Danny Trejo, 'Hatching Pete' with Jason Dolley and Mitchel Musso, 'Return to Halloweentown' with Sara Paxton and Lucas Grabeel, and 'Going to the Mat' with Andrew Lawrence and Wayne Brady for Disney Channel, Television credits including roles in; 'Touched by an Angel' with Carol Burnett, David Canary, Rue McClanahan, Kathy Lee Gifford, and Debbie Reynolds, 'Promised Land' with Steve Forrest, Celeste Holme and Ossie Davis, and CBS Movie of the Week 'A Husband's Betrayal' with Roma Downey, and Stage roles such as; Norman Cornell in 'Star-Spangled Girl', Jesus Costazuela in 'The Odd Couple- Female Version', and Mendel in 'Fiddler on the Roof'. 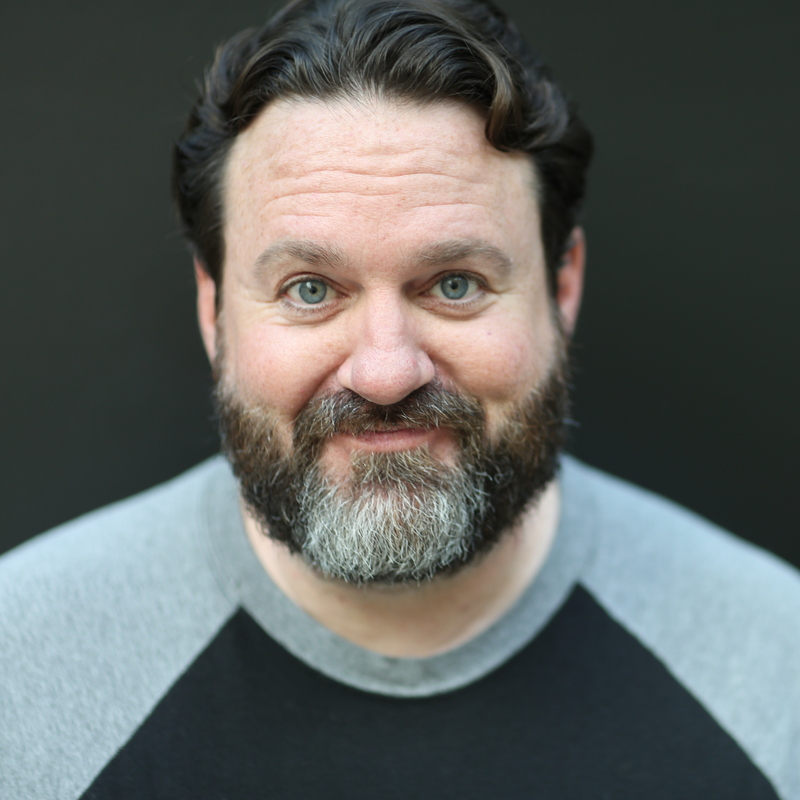 His years of experience working and studying with improv troupes; The Garrens, The Skinny Lincolns, and now with ComedySportz, as well as producing, directing and writing for his own sketch comedy show Chez Comedez, lend to his expertise in bringing out the best in those whom he teaches in his acting workshops. Christopher Robin Miller's voice over credits include over 3000 radio and television commercials(McDonalds, AT&T, JC Penney and Dodge to name a few), as well as animated features including; 'Professor Layton and the Eternal Diva', 'The Light Before Christmas' (IMAX), 'Spooky Bats and Scaredy Cats' (CARTOON NETWORK) and 'A Dog's Tale' (HBO Family). He also writes and produces local, regional and national radio commercials (i.e. Meadow Gold, Library of Congress) as well as directing dialogue for animated features for Tandem Animation and Sandman Studios. His years of experience with working in "the padded room" as well as directing actors he puts in there, lend to his expertise in bringing out the best in those whom he teaches in his Voice Over workshops. I am represented by TMG as an actor for Film, Television, Voice Over and Print work. Brigham Young University - Winter 2006 to present Created curriculum for and currently teach new class â Voice Over for Commercial and Animation Work as a bridge program between the acting (Barta Heiner) and animation (Kelly Loosli) programs. Students learn to interpret copy and make on-the-spot personal choices. They also learn to create character voices that are strong and consistent. I taught ACTING FOR FILM from my own curriculum that I've developed for the Professional Actors Conservatory and modified it to fit the rigors of the UVU Acting program. Created curriculum for and taught professional acting classes geared toward a charter high school with emphasis on film (grades 9-12). -	FOUNDATIONS OF ACTING Students learn to recognize, perform with, and talk about moment-to-moment awareness and authenticity in their own work and the observed work of others. -	ACTING MOVEMENT Class is devoted to the study and practice of increasing physical prowess with regards to strength, power, endurance, balance, dexterity, speed & flexibility and applying it to acting work through the following techniques 1. Alexander technique for the Actor 2. Pilates 3. Tai Chi 4. Dynamic Alignment through Imagery 5. Stage Combat 6. Film stunts 7. Mime or 'space work' for improvisation 8. Dance - VOICE OVER FOR ANIMATION AND COMMERCIALS Students learn to interpret copy and make on-the-spot personal choices. They also learn to create character voices that are strong and consistent. Voice/dialogue director for the Evergreen Holiday Classic series of films. So far, I have cast and directed voice over sessions for two animated films, THE LIGHT BEFORE CHRISTMAS and SPOOKY BATS AND SCAREDY CATS. I am performing the same functions for the next five holiday films as well as contributing to scripts. Performing in Improvisation and Sketch shows with musical numbers and games that wow audiences! We trained under Lincoln Hoppe who coached us in 'scene drilling'; a rigorous process that increases creativity and cooperation. I perform with this nationally franchised Improvisational Comedy troupe that performs scene work, games and musical numbers in a competition format that keeps audiences on the edge of their seats. I run my own freelance creative services writing copy for, producing and directing radio and on-camera advertising and other creative projects. I partnered with BYU Advertising to produce 12 spots for the Library of Congress READ campaign. I have enjoyed long-standing relationships with * KINARA Advertising, writing and producing their radio advertising for DEAN FOODS with creative director Sean Young, * SANDMAN Studios, casting and directing voice sessions for animator and director, Kelly Loosli, and with * DREAMBUILDERS writing and producing radio advertising and industrials with Bryan Thayer. Teaching scene study workshop that covers industry protocol and terminology, auditioning, rehearsal techniques and finding ones authentic voice. I started at the P.A.C. as a student under Scott Ditty in 1995. Producing, writing, directing and performing live sketch comedy, short films, and musical numbers with live music acts (i.e. Jazz w. The Greg Floor Quartet or Bluegrass w. The Johnson Brothers) in between. The show is filmed before a live studio audience.